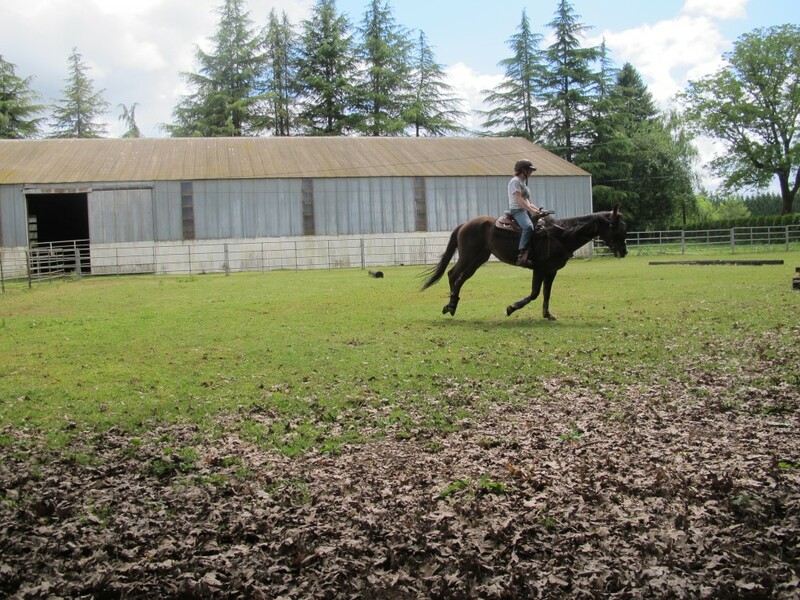 Of writing, and horses, and maybe a wee bit about teaching. So I am deep into the Netwalker Uprising revisions, and I’m not sure yet who’s winning, me or the story. Part of the challenge is that my editor (freelance, since I’m indie publishing the Netwalk Sequence I’m paying her for the edit and MS preparation) came back with some serious suggestions about story revision. I came up with a sweet little twist which carries across the whole damn series and pulls things together that I didn’t realize fit into my world’s backstory. It explains one hell of a lot that happens there. It gives the whole McGuffin solid legs. Yeah, I like it when a Cunning Plan finally comes together. But damn, the execution of said plan can be a challenge. I have been wrestling with Chapter Three for dang near three days now. Not the little half-hour grabs I do during the working year but solid, multi-hour sessions where I sit for the duration of a Pink Floyd CD (Momentary Lapse of Reason) and write something, scroll back to cross-check, write more, delete, accept changes, chew on my lip, add something, scroll back….get up at the end of the CD, brew more tea, stretch, stare at the birds, check e-mail, get back to writing something, delete, accept changes….. 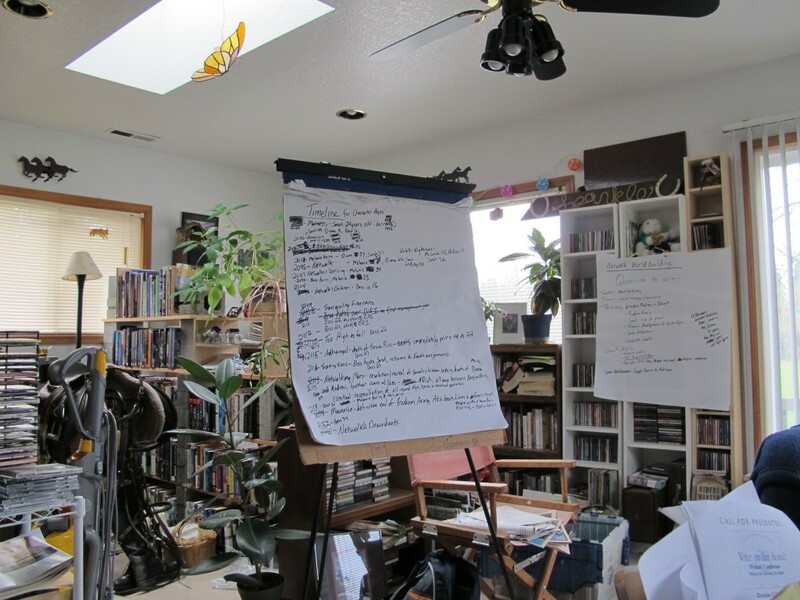 Meanwhile, I also have the chapter outline I wrote to help me whip this MS into some semblance of order also up on the screen (I’m writing on an iMac so the screen has room for two documents at once without having to tab between them. So. Freaking. Cool!) and I’m editing later chapters on the fly as new thoughts occur. And trust me, this is a painful slog. The two earlier chapters weren’t this hard, but this chapter, this Chapter Three, this one is foundational. It sets the rules for what comes after. It has to be coherent. Plus I’m not just establishing and extending the McGuffin, this chapter turns out to have a LOT more character work than I expected. Oh yeah, I finally did conquer Chapter Three. I split it in half. That section was easy. The foundational chapter is now Chapter Four. Too much for one chapter. And then Chapter Five will be All! New! Material! We shall see how that plays. Meanwhile, Miss Mocha was in one of her–ahem–energetic moods. Not like the picture above, where she’s relaxed. I rode her indoors because, well, monsoons (we don’t get that necessarily in Oregon but the June Damp is still holding on desperately). Additionally, I don’t want to ride her too many times in a row on the hard outdoor footing. She’d started to pussyfoot her stops and that’s a clear sign it’s jarring her hocks. The softer indoor footing gave me a more energetic horsie, for sure. I also worked on myself, focusing on sitting up, dang it, and visualizing a string pulling my head to the roof. When I collapse my core, part of what’s going on is all about me rounding my shoulders. Amazing how much difference thinking about position, visualizing the string pulling me up, and imagining my heels dragging on the ground can make! That gave me a softer horse in the hand. We had a long work, doing string of pearls at all three gaits with flying changes for the direction changes at the canter. We schooled figure 8s. We two-tracked. We did a few baby two and three-tempi changes in S curves and I was able to get them in a somewhat straighter line than before. Part of the challenge is convincing The Girl that the lead does NOT always have to be the inside lead (after all those years convincing her otherwise, sigh, but neither one of us was ready for this earlier). She’s understanding the need for change when the line curves a little. I figure once she comprehends the rhythm of tempi changes, she’ll like the feel of it (she’s that kind of geeky horse) and then it will be easy to cue her off of seat and leg. I’m steadier in cueing these things off of seat and leg and leaving the hand as a support, not a leading cue. Timing’s better. Then we went down the road and she had a Brain Fart Moment. Luckily, Brain Fart Moments in twelve-year-old cowhorse mares looks like halt, raise head high (instead of low head surfing for possible munchies–she’s very much like a Shetland pony in this one), and stare in the direction of what worries her. Give her a moment to figure it out, then ask her to move on. She might stop after a couple of steps but giving her time to study and think about it is key. I figured out that one thing was someone working in a yard who she couldn’t see clearly, just see the movement and hear her walking around. Another part was the low hum of something–whatever it is, it’s connected to the city’s waterline that runs through the area. But there were other things going on that I couldn’t see. When we turned back to the barn, she started walking faster than I’d like, almost a trot. So we spent time walking, then turning back, then walking, whoa, back…until she got sick of it and relaxed, approaching the Difficult Section with lowered head (though still tight). I got her to slow her pace slightly, though she still walked fast. Then we crossed over to our regular stroll and she relaxed further and slowed down. So yeah, more stuff was worrying her than I could see or hear. Probably something she smelled, possibly elk, coyotes, bear or even cougar. All have been spotted in the area. And that’s it for tonight. The only teaching comment I’ll make is that I’ve been musing over the stats on teacher turnover. Still thinking about that. Comments Off on Of writing, and horses, and maybe a wee bit about teaching.